Musician, teacher, gardener, poet, Believer, student of life and so much more! My name is Bob Korpella and I am the publisher of freshare.net, a new citizen journalism site for the Ozarks. As part of our site, we just launched a Google powered custom search engine exclusively for Ozarks blogs and citizen journalism related sites. I wanted to let you know that we have included Quarter Notes in the search results. You can give the engine a test drive at our home page (www.freshare.net ). We are being very selective as to which sites we include on the search engine and consider readership, frequency of updates, quality of content and quality of writing style, and we only include sites based here in the Ozarks. There are a few thousand blogs based in our area, but we think only about ten to fifteen percent will be included. Our custom engine works like any other Google search except that all the results come from the selected blogs. If you have any questions, please feel free to contact me. My address and phone number are listed below. Freshare.net is a resource for news, information, pictures and events relevant to the Ozarks. We invite all our readers to actively participate in the site by submitting their stories, photos and opinions. Our mission is to blend citizen journalism with professional resources to provide stories of importance to the region. 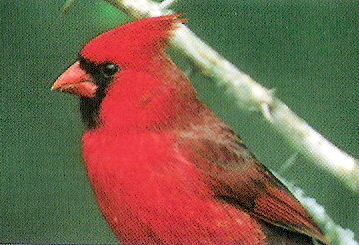 I love the cardinal photo on your blog. It caught my attention right away. My dad grew up in Monticello, Arkansas and every other summer we’d take a trip back to visit his family.